Businesses today are constantly trying to find ways to prioritize the customer experience in order to stay relevant in a sea of competition. Customers no longer differentiate businesses based on the products they sell. They do so by the experience they receive. Offering a good experience takes time and money, but it’s always worth the effort. The ROI of offering a positive customer experience is extremely high for a number of reasons. The first is that customers who receive a positive customer experience tend to tell other people about how good the experience was. Instead of you paying more for better marketing strategies, offer a positive experience and let the customers be your marketers. The second is that positive customer experiences usually translate to personalized experiences, meaning you’re putting the customer’s needs first. Doing so means you’re not guessing what they want and don’t want. Knowing what your customers want and aligning your business strategies to fit those needs can be tricky — especially if you don’t know who your customers are. 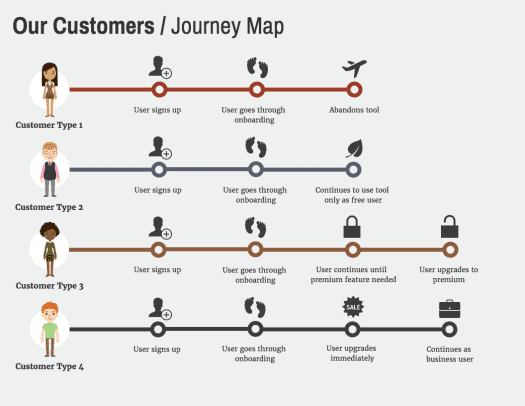 In order to learn more about who your customers are, you can refer to a customer journey map. Here, we’re going to break down what customer journey mapping is and how to use it effectively in our ultimate guide to customer journey mapping. Customer journey maps are visual representations of the customer journey from the customer’s point of view. That last part is key here: from the customer’s point of view. The whole point of a customer journey map is to highlight how the customer interacts with your business during each stage of the journey. You’re not building a map of your internal processes from an insider’s point-of-view. They’ll outline how the customer reacted to an ad via phone, email, text, or social media; they’ll outline how they responded to a sales agent’s approach to selling them the product; they can even go beyond the finalization of a sale and outline how the customer responded to a request for feedback. The sales pipeline outlines the sales stages, showing agents how a customer moves through the pipeline. The customer journey map shows agents from the customer’s point-of-view what the experience of moving through the journey is like. It’s important to understand this difference because the goal, as we said, is to understand how each stage of the buyer’s journey affects the customer’s decision to make a purchase. If a positive, personalized customer experience is what you’re after, your map has to reflect what the customer experiences and not what you want them to experience. Customer journey mapping is trending for a number of reasons. Most importantly, businesses are prioritizing the customer experience. I order to optimize your business strategies to fit the needs of the customer, you need to know who the customer is. You also need to know how that customer relationship between who they are and what you offer in terms of experience align with what you’re trying to sell. In other words, you’re looking at your strategies from the customer’s point of view because you’re aware that they’re the ones looking to your business more as a guide than an untouchable source of power. Businesses no longer tell customers why they need a customer. Customers go to businesses, and businesses respond with how they can help improve the overall experience. When you know how a customer interacts through every step of the buyer’s journey, you can how you can optimize your sales, marketing, and support strategies, and you can see where it’s working so you know not to fix something that isn’t broken. Using the customer to deliver an unbiased perspective of how your successful your business strategies are is imperative for learning more about how your strategies hold up in real life. On paper, they might sound great and should pull in a ton of revenue, but we all know that things don’t always work out as we expect. Adjusting for those things by prioritizing the customer experience with the help of a customer journey map is a great start. That’s why you’re seeing CRM software providers like Salesforce and SugarCRM implementing customer journey mapping into their products. With the rise in AI, we can expect customer journey mapping to become even more powerful and become a new standard in CRM software. Building a customer journey map is a smart choice when making the commitment to prioritize the customer experience. However, there are right and wrong ways to do it. Here, we’re going to simply discuss three kinds of customer journey maps your business can make. We’ll get into the mistakes to avoid in a little bit. For now, let’s look at what Current State, Future, and Day-in-the-Life customer journey maps are. Current State maps, as the name suggests, outline how a customer interacts with your business right now. This kind of map can be effective when trying to determine why customers are leaving your business. You never know when or why a customer stops doing business with you. With a Current State map, you can see where the issues are exactly. 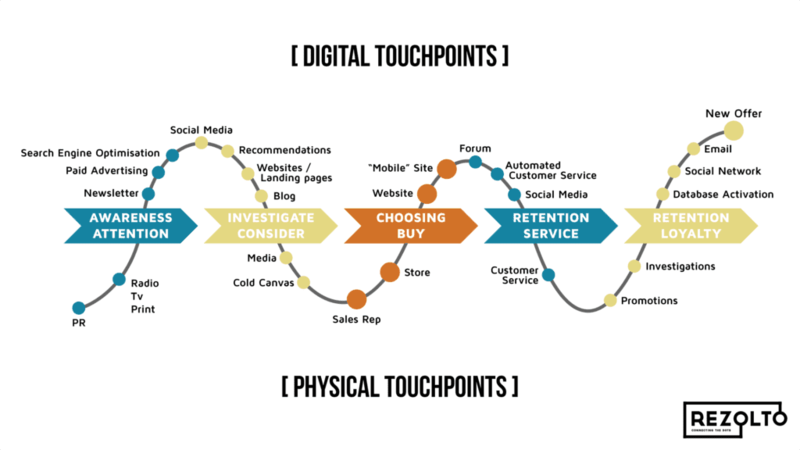 For starters, Current State customer journey maps are typically broken down into five stages or phases: awareness, engagement, evaluation, purchase, and post-purchase. Across each phase, you want to keep track of how the customer interacts with it. In the awareness phase, you want to keep track of how a customer first becomes aware of your business. This can be in the form of a commercial, ad on Facebook, or through word-of-mouth. Next, you want to pay close attention to engagement. How is the customer interacting with your business? Did they speak to an agent, go directly to your website, click on an ad, use the chatbot feature on your homepage, or something totally different? The way a customer engages with your business will tell you a lot about how they want the journey to continue and what they expect for next time. After, you’re going to take note of how the customer evaluates whether or not a purchase is necessary. Do they have all the tools they need at their disposal? Are agents available and ready to answer any questions at any time? What about self-service options? Here, you want to pay very close attention to what your competition is doing and highlight how your business stands out. Then, you’re going to document how the customer makes a purchase. Do they prefer making purchases online or would they rather complete the transaction in person? Something as small as accepting Apply Pay can make a difference, so it’s especially important to pay close attention in this stage. If it’s not easy to complete a transaction, it won’t matter how effective your business is in every other stage. Finally, you’re going to look at what happens post-purchase. Just because you finalized a transaction doesn’t mean the work is over. If a customer isn’t satisfied with the purchase, they need to have a way to voice their displeasure. If, for example, a product was broken during shipment, you want to make it easy for a customer to tell you exactly what happened so you can respond accordingly. Otherwise, they’ll request a refund and you start at square one. The Future State map acts as a blueprint for your business’ future strategies. Its purpose is the same as the Current State map in that it’s an outline from the customer’s point of view. The difference, however, is that you’re simply planning ahead based on what currently needs optimization and how you’d like the journey to unfold. First, you want to identify any new touchpoints your business may be considering when looking for leads. It’s important to understand how your customers currently reach out to your business because certain touchpoints might not be suitable for attracting the kind of customers you wish to sell to. Next, you want to determine if there are any touchpoints you want to eliminate while determining what the repercussions of that will be. If you’re using traditional channels to find leads and you want to reach out to a younger audience, but the majority of your customers prefer traditional touchpoints, you might end up doing more harm than good. Again, knowing who your customers are will be key to figuring out whether or not eliminating channels is worth it. After, you should outline new ways sales agents will communicate with leads and customers. This can cover follow-ups: how many, how much time in between each one, etc. It can also cover channels and which methods are best for conversions. Finally, based on all this info, and like the Current State map, you should outline how you would like/how you expect your customers to use your products based on all the previous interactions. A Day-in-the-Life customer journey map simply depicts how a customer uses a product, any struggles they might/do run into while using it, and moments in time that inspire purchases (like holidays). They act similarly to Current Day customer journey maps, but they take a broader look at the customer’s life outside of making purchases. Now let’s look at this example of how a Day-in-the-Life map could be outlined. This isn’t the only example you can look at, but there are some key differences that we need to highlight. First, you’re going to start with a buyer persona. You want to know who your customers are, and this can be done by looking at demographics, behavioral patterns, and psychological motivations. Outline as much info as you can to understand who you’re selling to. Next, you want to look at what they do in their everyday lives and determine if there are any potential issues that can be addressed by your product or services. This is what separates the Day-in-the-Life map from the Current State map. The goal is to optimize the customer journey in areas that affect normal, day-to-day activities rather than simply optimize your journey to fit the needs of your customer while they consider making a purchase. Finally, you want to make sure your sales agents are aware of how customers go about their day to optimize when to reach out and follow-up, to understand how a lead or customer should be reached (what channel is best or what time of day they can talk), and to know what kind of product will immediately make an impact on their lives. That’s why this example highlights the type of customer based on how they interact with a product on a day-to-day basis. Here’s an important tip: When drafting the Day-in-the-Life customer journey map, instead of mapping out the phases in your journey, you can highlight the actions of a customer in the morning, afternoon, evening, and at night. Along the way, you can take note of how the customer uses your product, how they wish they can use your product, what gets in the way of them using the product the way they want to, and how your product can make their day easier. 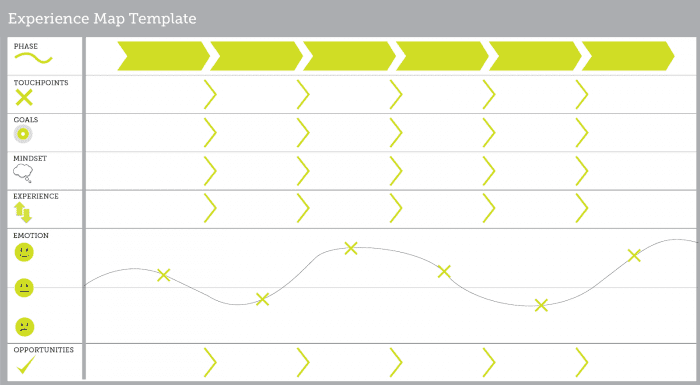 Many businesses don’t realize how easy it is to mess up a customer journey map. 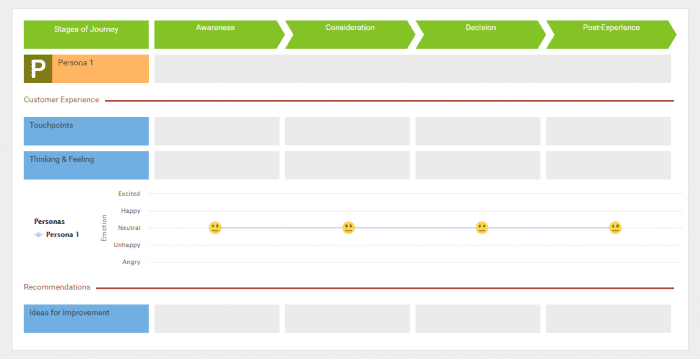 Like we’ve already mentioned numerous times, the entire goal of the customer journey map is to outline the journey from the moment a lead/customer shows interest in a product to the final sale — all from the customer’s point of view. 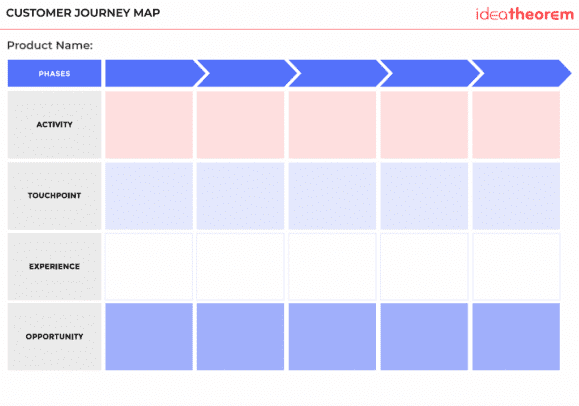 Customer journey maps can get complicated, but they don’t have to be. If they’re too complicated, that might be an indicator something has to change in your strategy. This simple example below is what you should strive for. At the end of the day, clarity is the most important aspect of a map. Here, we’re going to briefly showcase some mistakes to avoid when building a customer journey map. Customer journey maps should be built based on metrics and customer feedback rather than who you think your customers are and how they interact with your business. Assuming you know who your customers are without looking at any data is a recipe for disaster. You might get lucky and guess right every once in a while, but if you’re not sure and you’re caught assuming, the customer will see the attempt as a way of alienating them in the customer journey and you’ll come off as acting like you know what they want when the opposite is true. Neither are good looks for your business. Segmentation should be used to build multiple buyer personas for added context. Customers typically don’t go through the same journey to finalize a sale. Many have different, but shared paths that can be outlined to your business’ advantage. Segmenting your buyers allows more personalization in the customer journey, which can speed it up significantly. This means agents will know exactly what your customer wants based on demographics, behavioral tendencies, and psychological motivations. 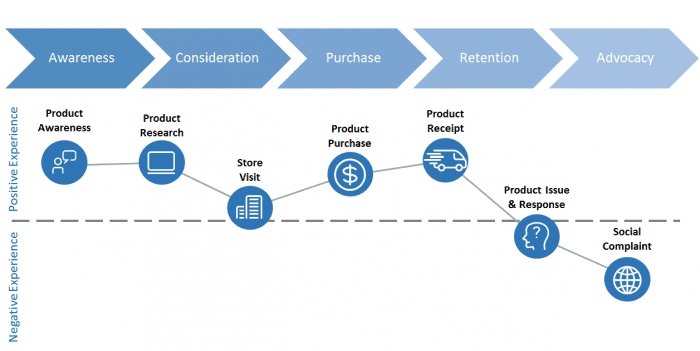 Customer journey maps are intended to outline the moment a customer contacts your business to the moment they finalize a purchase. This is not a sales pipeline where you’re only focusing on how a customer interacts with an agent and the sales process. You’re keeping track of what originally motivated them to find out more about your business and even after they make a purchase. If you limit yourself to one part of the journey, you’re going to miss out on the important context that often helps businesses determine where optimization needs to occur. The customer journey map is intended to outline every step the customer goes through and not what your sales process already is. In other words, you’re mapping things from the customer’s point of view. Again, this isn’t a sales pipeline where you’re just mapping the stages of the sales process and determining where the lead is. You’re going much further by looking at how they interact with each stage of the entire buyer’s journey. Are they not responding well enough to your email campaigns or social media ads? Do they find themselves frustrated after making a purchase because the process took too long? Were the sales agents knowledgeable enough to offer a more personalized experience? If your map isn’t helping to answer these questions, you know you need to dig deeper by creating customer experience surveys and following up more. Customer journey mapping is not a one-and-done-type strategy to improve the customer experience. They need to be designed understanding that they will change as needs change. Needs change as technology advances, as journeys optimize, and as strategies change focus. What worked ten years ago isn’t going to work now. If it does, you probably don’t need a customer journey map because you struck gold. However, the best companies leave room for growth because they understand things change. 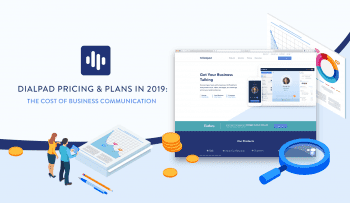 They always seem to be on top of their customers’ needs naturally, but in reality, they’re investing heavily in building strategies that leave room for growth. Now that we know what customer journey maps are, what kinds there are, and what mistakes to avoid, we can highlight some examples of customer journey maps while breaking each one down on what’s working and how they differ from one another. 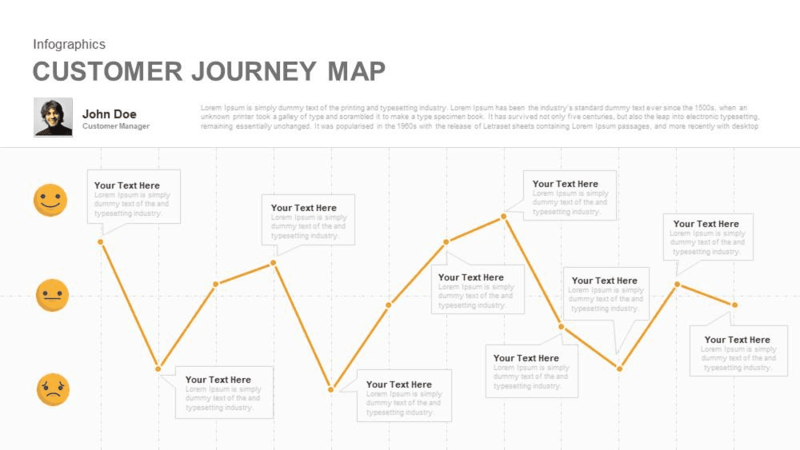 As we’ve already discussed, customer journey maps are a visual representation of the entire customer journey. Here you can see the stages outlined clearly, starting with Awareness and ending with Loyalty. On the bottom, you can also see the steps that break down each stage. The good thing about this is that software isn’t even necessary. This can be drawn out provided you’re updating the journey regularly. However, CRM software, for example, can automate this entire process and ensure user-error plays no role in it. Here, we have a template that is a little more simple than the first template, but it lays out all the same information in a clear, color-coded manner. They both outline how a customer is targeted by marketing or finds your business, how they go through the sales pipeline, what leads to a final purchase, and finally dives into follow-ups to improve customer retention. If you see your map is full of stages like this one, you can easily determine which steps are necessary and which ones can be eliminated. This example doesn’t necessarily show a map for a business, but the key takeaway here is the clearly displayed range of emotions regarding the overall experience. This still covers all the same information we’ve previously discussed, but from an emotional point of view. This is easily adaptable to your current business strategy. By focusing on a range of emotions throughout the journey, you can clearly see the positive and negative effects of every phase or stage. If journeys are hovering mostly in the negative part of the map, you clearly need to optimize your journey. To briefly recap what we’ve talked about so far, and to outline some other essentials that go into a customer journey map, we’re going to provide you with a checklist of what needs to be in a customer journey map to make it effective and adaptable. 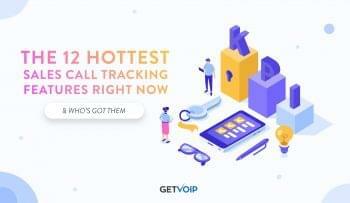 You want to know who your leads and customers are. Segmentation will help here. Without knowing who your potential customers are, you won’t know how to target them with a personalized experience. Determine how your leads and customers come in contact with you. 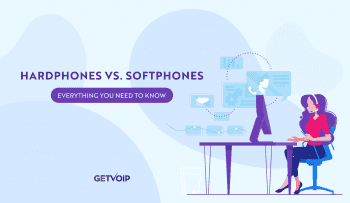 If they like to make calls, your business should adjust with extra phone lines. If they like to email, make sure your business has a dedicated email to address potential purchases. Ignoring how your customers contact you is a great way to lost a ton of leads before you even attempt to reach out to them. Similar to how you look at how long leads are in a sales pipeline, you’re going to look at your map to determine where potential hold-ups in the journey may lie. If there are too many unused channels that cause indecision right from the beginning, simplify your multichannel/omnichannel sales and marketing strategies. Same goes for after a purchase. 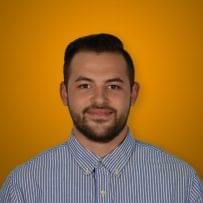 If customers have a hard time contacting your agents, highlight why. The whole point of the customer journey map is to act as a visual guide for your business. Make sure you’re either taking advantage of CRM software, task management software, journey mapping software, or even drawing it out on a whiteboard to see each stage, channel, segment, and timeline. Humans are visual learners, which is why visual guides tend to be extremely effective. Gather data from customer experience surveys to determine what your customers’ goals are. Not knowing why they’re interested in making a purchase in the first place puts your map at a disadvantage. If you know what they want, you can adjust your journey to fit those exact needs. The customer journey map is focused on the customer, so remember you’re building the map based on those goals rather than only outlining the internal strategies. Context is everything. Customer experience surveys are a great start in determining how your journey should function, but some goals aren’t realistic. Businesses don’t have endless funds for investing in the journey. Sacrifices sometimes have to be made. However, knowing where to invest and spending whatever resources are available wisely can alleviate much of the pressure. CRM software will help gather data from sales, marketing, and support teams. It will use that data to generate reports that you can then use to determine what your next steps are. Over time, businesses are going to change their marketing, sales, and support strategies to fit the needs of the customer. If you’re working with an old customer journey map that doesn’t reflect the current customer experience and journey, you’re not going to know where you need to make changes and where everything’s fine. Make sure that you’re using software that allows for these changes. Don’t forget to monitor the results of any changes you make to the customer journey. Don’t do too much or too little all at once. The tiniest changes can leave the biggest impacts, so make sure you’re patient and apply changes on a regular, but manageable basis. Record your findings and determine what your next changes should be from there. As we’ve mentioned numerous times, building a customer journey map comes with a ton of benefits. Doing so helps to improve and personalize the overall customer experience. If you’re still not convinced this is the case, here are some numbers for you to look at regarding the customer experience and why it’s important to start mapping your customer journeys. “79% of consumers want to see that brands care, before consider making a purchase” (Wantedness). “55% of consumers are willing to pay more for a guaranteed good experience” (HuffPost). “87% of consumers say brands need to work harder to create a seamless experience for customers” (Zendesk). “By the year 2020 customer experience will overtake price and product as the key brand differentiator” (AnswerDash). “Customers who are fully engaged represent a 23% premium in terms of share of wallet, profitability, revenue, and relationship growth over the average customer” (Gallup). 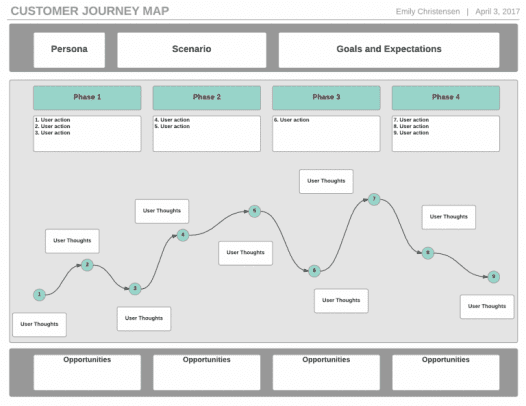 Customer journey maps help improve the overall customer experience. As you can see, when you prioritize the customer experience, you can expect higher retention rates, more positive customer experiences, you set yourself apart from the competition, and you can expect a significant increase in revenue. Customer journey mapping is an important part of any business’ customer experience strategy. 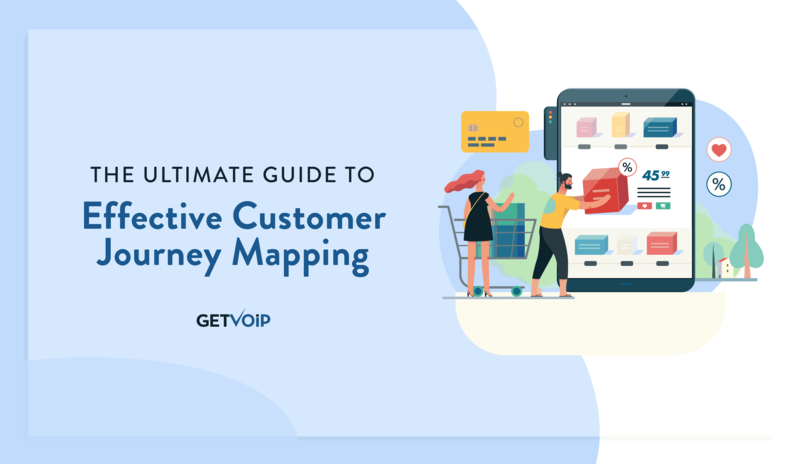 If you’re not already mapping your customers and using that map to determine how to optimize your business strategies, you’re putting yourself at a significant disadvantage. Customers no longer differentiate businesses from the products they sell. They want a positive experience, and they’re willing to spend more for it. If you can’t provide that experience, they’ll go to someone else that can. That’s why mapping the customer and how they interact with your business is key. We’ve shown you what kinds of maps there are, mistakes to avoid, how to build your own map, and what to include in your customer journey map. We need to stress that not every map is going to look the same. You simply can’t copy someone else’s map and hope your customers fall in line with what you want them to experience. Your customers are going to dictate how they want to be treated and what they expect out of you. You can’t let your products do the talking because that’s no longer enough. This ultimate guide to customer journey mapping should help point your business in the right direction whether this is your first time mapping the customer journey or you’re not getting the results you need/expected from your current map. There are a few essentials that need to be in a map to give your business the best chance at success, but they all boil down to one thing: the customer experience needs to be personalized and prioritized. It’s imperative you start optimizing your journey now; the longer you wait, the more likely you’ll fall behind the competition.